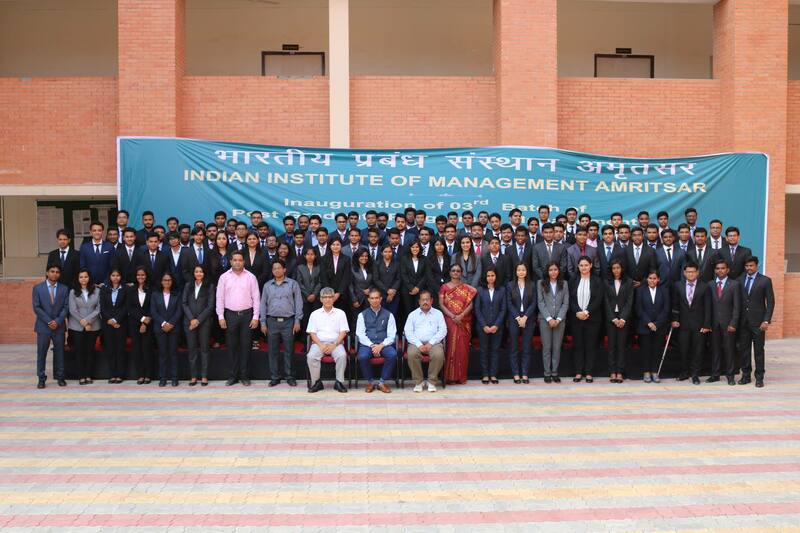 On 28th of July 2016, the students of IIM Amritsar had the fortune of interacting with one of the most prominent business leader Dr. O M Manchand who is the Chief Executive Officer at Dr Lal PathLabs Pvt. Ltd.( LinkedIn id: omanchanda). He has worked in diverse roles with prominent industries such as Hindustan Lever Ltd, Monsanto, Ranbaxy and Dr Lal PathLabs Pvt. Ltd. Direction is more important that the distance you cover: there are many choices to make in a B School, so make the right choice and make it work. Patience pays: don’t give up half way, don’t be in a hurry to become a C.E.O, don’t quit until all possible avenues have been explored. Develop your support system: It is always helpful to take advice from your mentors, seniors and even juniors at times, networking is very helpful, reach out to people and share your burdens. It is important to follow your own dreams: Do what you want to do, do not follow others dreams, you must now where you want to go in your life, never regret not making a decision in life. Future is always changing: today’s world is advancing at a very fast rate, keeping up with it is important, one must learn from the past but not depend on the past for all solutions. Value what you have: Don’t be jealous of what others have accomplished and don’t be sad about what you could not accomplish, always thank God for what has been given, it will give you peace of mind. He also gave tips to aspiring entrepreneurs to pursue Digital Marketing as it is a blooming field right now. He also advised students to start entrepreneurship early in life and to build a good networking and support system.He also stated that education and Pharmacy are blooming sectors in India and we can accomplish a lot in these fields. His emphases was to build up EQ ( Emotional Quotient ) in the long run , because we as management students have already been tested for our IQ and hard work; and decision making is the most crucial job of a C.E.O for which EQ is an integral part. Summing up he said that there are four main points of focus in today’s world, firstly by making the right choice and secondly by making it work. Third he focussed on developing the right support system, which can be in the form of seniors, mentors and even parents. Lastly he focussed on to have desires in life as it is what keeps you going in life.